Are you ready to escape the office? Fancy kicking off the weekend in style with your work buddies? 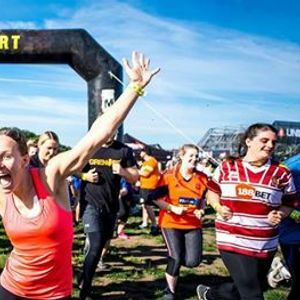 Then join TEAM Noah for Tough Mudder - Finsbury Park! Tough Mudder is heading to Finsbury Park on 12 & 13 April for 5k of awesome obstacles and epic teamwork. Bring your friends, family and your neighbours to kick off the weekend in with loads of food, craft beer and sweet, sweet vibes. Whether you want to stay up late on the Friday, or kick things off on Saturday morning, expect an action packed weekend with a mix of classic and brand new obstacles! And when you’re done? Hop on the tube, or take a bus home. No mud, no mess - no stress. Registration Deadline - First Come First Serve!